Jerusalem is one of the oldest cities in the world that people have lived in continuously. It is important to many major religions. Jews consider Jerusalem a holy city because it was their religious and political center during Biblical times and the place where the Temple of God stood. Christians consider Jerusalem holy because many events in the life of Jesus Christ took place there. Muslims believe that the Prophet Muhammad rose to heaven from there. Both Israel and Palestine claim Jerusalem as their national capital. All other countries and the United Nations say that West Jerusalem is part of Israel and that East Jerusalem is Palestinian. Because it is not considered to belong to any country at the moment, the city has no embassies. Most countries have their embassies in Tel Aviv and Ramallah. Jerusalem is about 40 miles (64 kilometers) east of the Mediterranean Sea. It is a hilly city with many valleys around it. Jerusalem is a very old city. It has great importance for three religions: Judaism, Christianity and Islam. The Bible says King David, the second king of the Israel, took this city from pagans and settled his palace there. King Solomon, David's son and the next king, built the Temple in Jerusalem. Later, as capital of Judah, Jerusalem was destroyed by Nebuchadnezzar II, the king of Babylon. The Palace of King David and the Temple of Solomon were burned and the Jews were captured and taken to Babylon. Seventy years later, the Persian King Cyrus allowed them to return to Jerusalem and to rebuild the Temple. Later the area was occupied by Romans. King Herod the Great, who ruled for the Roman Emperor, made the Temple larger to try and win Jewish favor. The Temple was famous for its greatness and beauty. Jesus Christ died in Jerusalem around AD 33. In AD 70, the Jews rebelled against the Romans, but the Romans destroyed the city and the Temple. Jewish people who lived in Jerusalem were caught and became slaves. The Romans renamed Jerusalem with a Latin name. Since then, the Temple has not been rebuilt, and only a part of its wall remains until today. In 1949, at the end of the first Arab-Israeli War, Jerusalem was divided between Israel and Jordan. Israel controlled the western part of the city. Jordan controlled the eastern section, including the Old City, a walled section of Jerusalem dating from Biblical times. 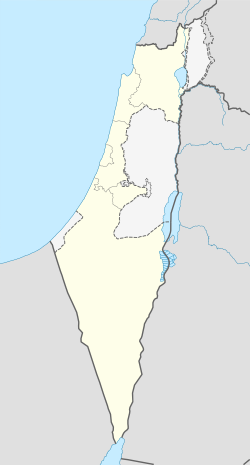 Israel took control of the entire city during the Six Day War in 1967. Jerusalem today is claimed by both the Palestinians and the Israelis as their capital. The United Nations do not agree to Israel saying that Jerusalem is the capital of Israel, according to international law. Jerusalem has a central place in the worship, doctrine, and daily practice of Judaism, Christianity, and Islam. The city's large number of synagogues, churches, mosques, and other religious institutions reflects the significance of the city for all three faiths. Each religious community supervises its own holy sites. According to Jewish tradition, Jerusalem is where God told the patriarch Abraham to sacrifice his son, Isaac, to Him. The Jews built the Temple, the center of Jewish worship in ancient times, at the site of Abraham's sacrifice on the Temple Mount in the Old City. Two buildings, one after the other, the First Temple and the Second Temple, stood at the site. The First Temple housed the Ark of the Covenant, a sacred box holding the tablets inscribed with the Ten Commandments. The Western Wall is a part of the Second Temple and Judaism's most sacred shrine. It is a stone wall that streghthened the western side of the Temple Mount in ancient times. The wall is sometimes called the Wailing Wall because of the sad prayers Jewish people said there to mourn the destroyed Temple. Other sites in the city that are sacred to the Jews include King David's tomb on Mount Zion, and the Jewish Cemetery and the Tombs of the Prophets on the Mount of Olives, a hill just east of the Old City. Many sites associated with Biblical figures are sacred to Christians, too. Many monasteries, convents, shrines, and religious seminaries in Jerusalem mark events in the life of Jesus Christ and in the formation of the Christian Church. Jesus taught in Jerusalem and performed numerous miracles there. The Last Supper supposedly took place in a room known as the Cenacle (also called Coenaculum) on Mount Zion. The Church of the Holy Sepulcher in the Old City is said to be the place of Jesus's Crucifixion (called Calvary or Golgotha), as well as His burial and Resurrection. Several Christian sects own the church, which was originally built by Constantine the Great, then rebuilt and dedicated by the Crusaders in 1149 C.E. The building stands at the end of the Via Dolorosa (Way of Sorrows), believed to be the path over which Jesus carried His cross to Calvary. Jesus was last seen by His followers on the Mount of Olives before He went up to heaven. All of these sites attract many religious pilgrims each year. Jerusalem is Islam's third holiest city, after Mecca and Medina in Saudi Arabia. According to Muslim tradition, the Prophet Muhammad originally selected Jerusalem as the qibla, the direction Muslims should face during prayer. However, he later told his followers to face Mecca instead of Jerusalem when praying. Muhammad is said to have gone up to heaven from a stone now covered by a golden-domed shrine called the Dome of the Rock. The Dome of the Rock and an ancient mosque called Al Aqsa Mosque are among the holiest sites in Islam. They are the main buildings on the Temple Mount, which Muslims call Haram al-Sharif (Noble Sanctuary). Jerusalem's architecture is a mixture of old and new. The Old City contains architectural examples from each major period in the city's history. Many ancient historical sites and places of worship stand near modern shopping centers and industrial zones. Architecture from the late 1800s and early 1900s shows European influences. Usefulness rather than style characterizes new apartment buildings constructed by the government as housing for immigrants. Many buildings, old and new, have matching exteriors because all construction is required to be faced with a cream-colored limestone called Jerusalem stone, produced by nearby quarries. ↑ "Israel plans 1,300 East Jerusalem Jewish settler homes". BBC News. 9 November 2010. http://www.bbc.co.uk/news/world-middle-east-11709617. "East Jerusalem is regarded as occupied Palestinian territory by the international community, but Israel says it is part of its territory." ↑ "Israel". CIA Factbook. date. https://www.cia.gov/library/publications/the-world-factbook/geos/is.html. Retrieved 5 November 2012. ↑ "Israel". United Nations. date. ↑ "Online Directory: Israel, Middle East". Sister Cities International. Archived from the original on 17 January 2008. http://web.archive.org/web/20080117184923/http://www.sci-icrc.org/icrc/directory/MiddleEast/Israel. Retrieved 5 April 2007. ↑ "Partner Cities (Portal of Prague)". Praha.eu. http://www.praha.eu/jnp/en/city_hall/foreign_activities/partner_cities/. Retrieved 17 October 2011. This page was last changed on 23 October 2014, at 20:57.